Center table fully decorated with cancelled stamps. 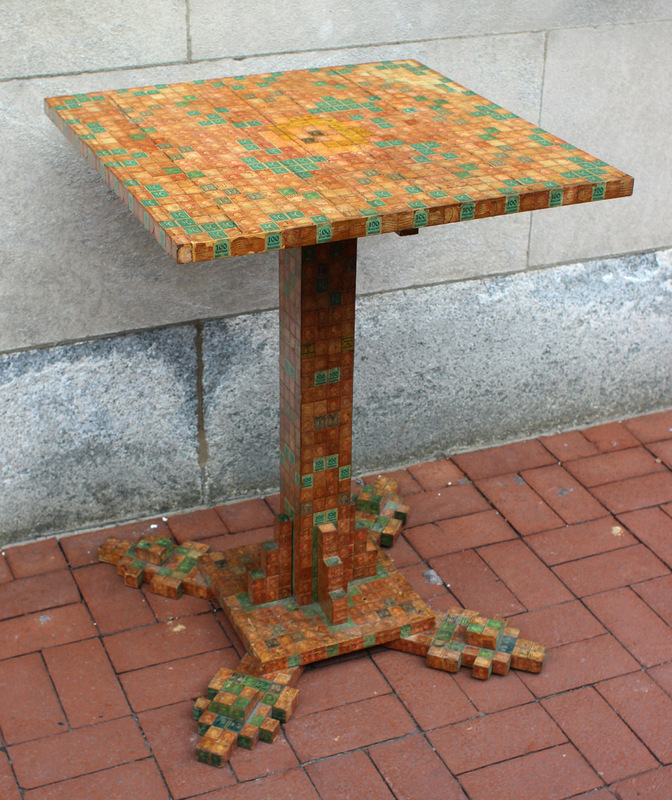 The design of the table was such that the dimensions of every part of it are determined by the height and width of a postage stamp and every inch was covered by full stamps. American, probably Mid-West States, and some dates found on the stamps are 1931 and 1933. The architecture is that of period skyscrapers. Stamps varnished over wood. Very sturdy. Excellent condition, some wear consistent with age.